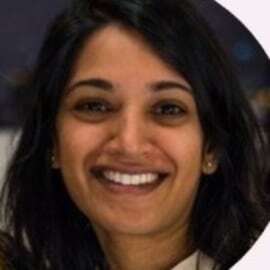 Dr. Bamini Jayabalasingham is a Senior Analytical Product Manager at Elsevier. Prior to joining Elsevier, she served as an AAAS Science and Technology Policy Fellow at the National Institutes of Health, where she supported implementation and evaluation efforts on policies for women’s health research. She has provided advice on strategy development to support evidence-based policy and program formation for numerous public and private stakeholders including the Public Health Agency of Canada, the New York City Department of Public Health and Mental Hygiene, and Acidophil. She holds a BSc in Microbiology from the University of Toronto and a PhD in Molecular Microbiology and Immunology from Johns Hopkins University.